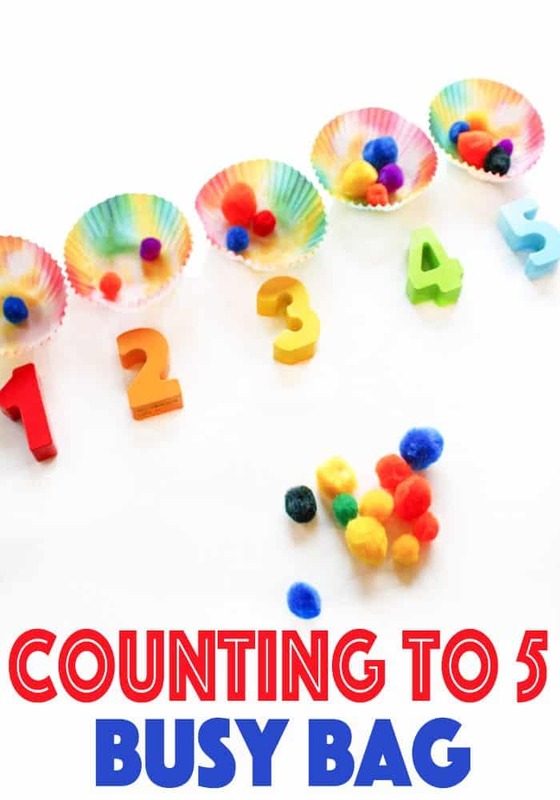 A few days ago I shared the Christmas counting to 3 busy bag that I made using pipe cleaners. Since I was on a busy bag making binge, I made this one up at the same time. I’m trying to build up my stash so that I have lots of activities ready for my preschooler when she is ready to use them. She needs a lot of repetition of the same exact activity to really keep it in her mind. This rainbow counting to 5 busy bag is full of fun colors and was apparently so exciting that she felt the need to play with it while I put it together! I absolutely love easy busy bags and this is no exception. This only took a couple minutes to put together and we can play with it multiple times as her skill level changes and increases. You can use this bag many ways depending on your child’s skill level and the need for a challenge. For Shiloh, despite the fact that she is almost four, I set the activity up for her and she dropped pom poms into the cupcake liners while I counter for her. 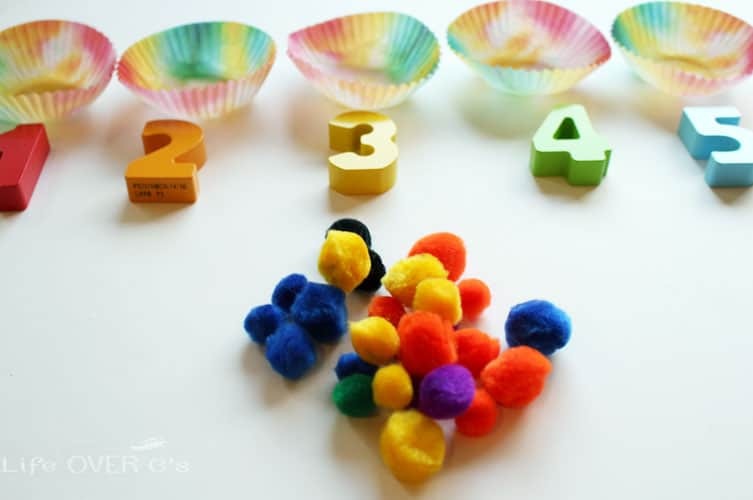 You could also have your child put the numbers in the correct order and then put in the correct number of pom poms. Or put all the numbers out, except one and have your child figure out which one is missing. 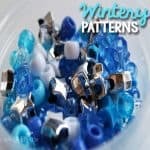 You can use this to brighten up a dreary winter day! The colors can’t help, but bring a smile to your face! 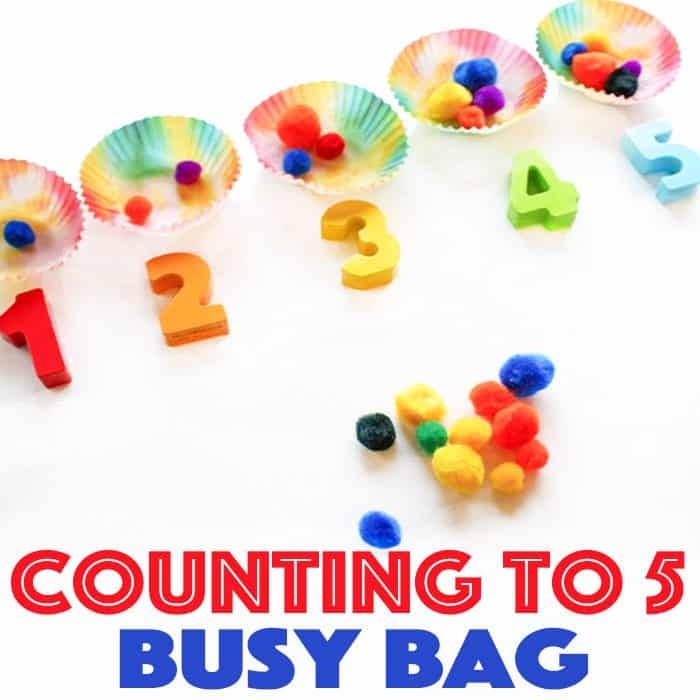 Here are some other busy bags that we’ve been working with! You can always change up the colors of seasonal activities to use during different times of the year. I love how colorful and inviting this busy bag is!